Supporting biblical interpretations, this book answers the challenges and questions from current secular culture. From USA Today bestselling author Anthony DeStefano, an entertaining retort to atheism and its proponents, revealing the intellectual bankruptcy at atheism's core and equipping Christians to respond to its hollow arguments. Now in trade paper. A witty and devastating takedown of the "new" atheist position, Inside the Atheist Mind debunks the theories of Richard Dawkins, Christopher Hitchens, Sam Harris, and others, revealing how inconsistent, illogical, and frankly ludicrous their conclusions truly are. Poking fun at atheists in a clever and intelligent way, Anthony DeStefano demonstrates just how full of holes the new atheism is and reveals that it is actually a "religion" of its own, complete with a creed, a set of commandments, a rigid moral code, and rewards and punishments. More than that, DeStefano exposes that atheism is itself a "superstition" of the worst kind. Using irony and a healthy dose of playful sarcasm, Inside the Atheist Mind lampoons, teases, and deflates the atheist position, unmasking it for what it is--an empty, intellectually barren philosophy, devoid of any logic and common sense. The debate over the origin of life and the universe is ancient, but in recent years it has reached a fever pitch. 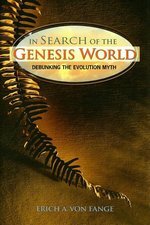 While incendiary rhetoric from parts of the scientific community disallows any challenge to Darwinian evolution, a growing number of scientists and experts support a supernatural origin of life, also known as the theory of intelligent design. Intelligent Design 101 brings together leading scholars and researchers from the fields of science and intelligent design studies. Their detailed and insightful essays form a balanced introduction to intelligent design, from the basics of the theory, to its history and growing place in science and education. 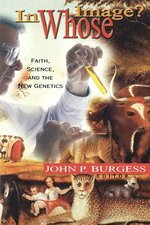 The subject of intelligent design has been much in the news in recent months but is often treated in a piecemeal fashion or one-sidedly. This volume highlights points of agreement and disagreement between two leading intellectuals on the subject: William A. Dembski, senior fellow with Discovery Institute's Center for Science and Culture, and Michael Ruse, an internationally known philosopher of science. Each of the contributors presents his or her position in light of the other's, providing readers with a fair and balanced case for both sides and allowing readers to decide for themselves. The following noted scientists, philosophers and theologians then explore the many facets of this debate. IS JESUS THE ONLY WAY TODAYS ISSUES OP! Within the pages of this Today's Issues booklet, the four essential Christian beliefs that pluralists find most troublesome are explained in clear, everyday terms, proving how and why Jesus is the only way. Charles Foster presents arguments against the Resurrection that include, the evidence is fragmentary, Jesus did not die on the Cross, it was unlikely the Romans would hand a body over, why should the Romans really bother to guard the tomb of a tin-pot Messiah? and how Mark does not deal with post-Resurrection appearances. When people encounter an argument for or against God's existence, it often raises more questions than it answers. In Letters to Doubting Thomas, C. Stephen Layman offers a fresh, insightful approach to the issue of God's existence--a way to organize what can seem like a blizzard of claims and concepts--bringing clarity to a debate often mired in confusion. Layman explores the evidence for the existence of God in a series of fictionalized letters between two characters--Zachary, a philosopher, and Thomas, an old college friend who appeals to Zach for help in sorting out his thoughts about God. As their correspondence grows, Zachary leads Thomas through an informal and highly readable comparison of Naturalism (the belief that there is no God and that ultimate reality is physical reality), and Theism (the idea that there is an almighty, perfectly good God). 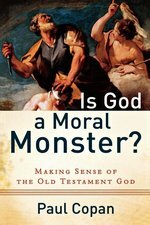 In engaging letters that break down complex philosophical arguments into easily digestible bits, the two friends delve into such weighty topics as the reliability of religious experience, various arguments for God's existence (such as the cosmological, design, and moral arguments), the question of free will, and the problem of evil. A piece at a time, they build an argument that shows that Theism, on balance, provides a better explanation of the world and human life than does Naturalism. Here then is a highly accessible account of the major arguments for and against the existence of God, capturing some of the best new insights of modern philosophy in a marvelously clear and engaging format.